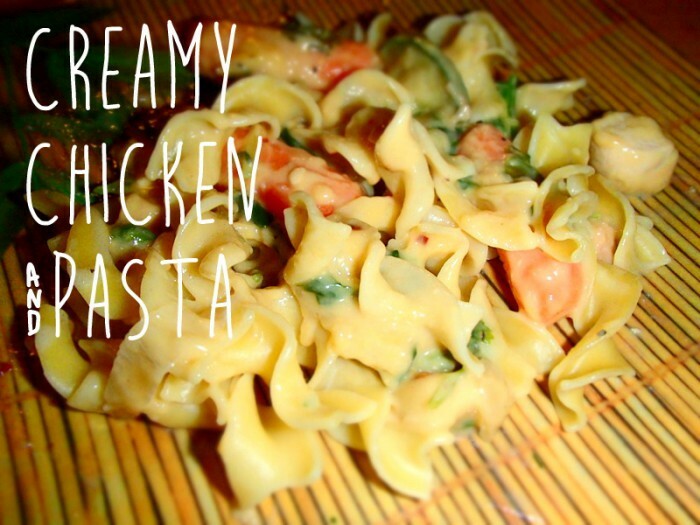 My favorite recipe this week is this a creamy chicken pasta dish that uses cream of chicken as the sauce base. It is such a quick meal and only needs a few ingredients (plus whatever else you find in your fridge!). It’s perfect for those nights when you don’t have time (or just don’t feel like) cooking a gourmet meal, but still want to eat more than just ramen noodles (no hate to ramen though). *You can use any veggies you want, I just happen to only have baby carrots in my fridge. Broccoli, celery, and even cucumbers would work too! In one pot, start boiling water for the noodles. While the noodles are cooking, start cutting up the chicken into cubes. Cook the chicken in a large pan, then add in the baby carrots. 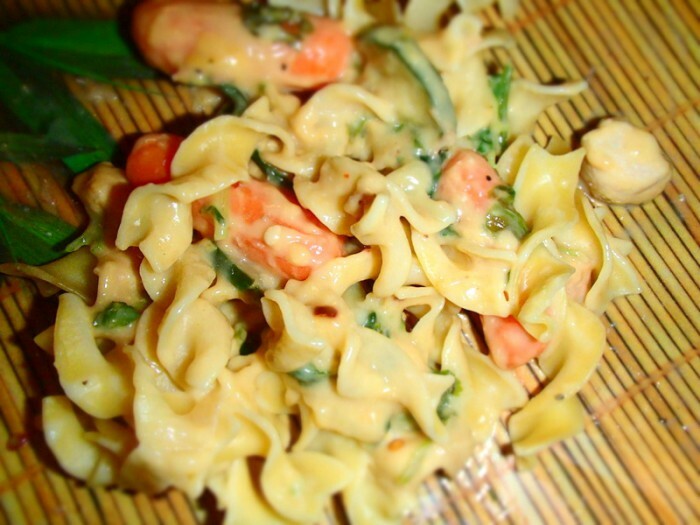 Finally, stir in the cream of chicken soup and you got a delicious pasta sauce. I topped it off with some cilantro because I LOVE cilantro on everything! I also didn’t add any spices except garlic powder. 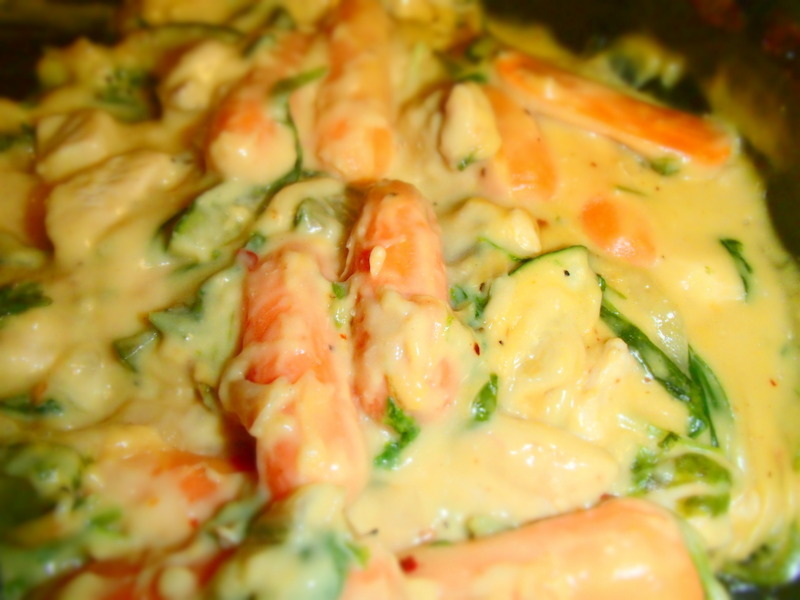 The cream of chicken has enough flavor and the carrots helped balance out the saltiness.